The life of journalist Sathnam Sanghera explored in new drama. 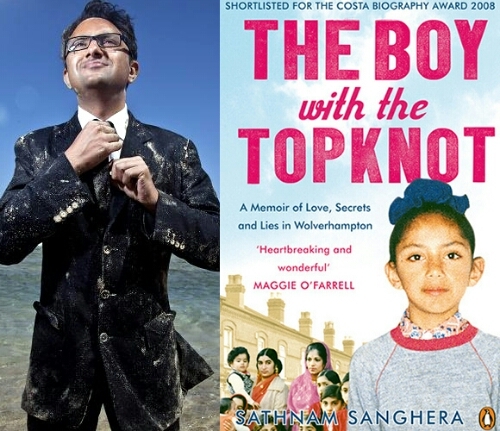 BBC Two has commissioned The Boy With The Topknot, a one-off 90-minute drama be based on the critically acclaimed memoirs of journalist Sathnam Sanghera. Born to Punjabi parents in the West Midlands, the book is his account of his childhood in 1980s Wolverhampton, and facing up to a bunch of painful family secrets and truths in his twenties – not least that his father and sister had suffered from schizophrenia – and that he was going to defy expectations of an arranged marriage. It is a humorous, touching and emotional story of a second-generation Indian growing up in Britain and how he juggles his family, love life and career. The Boy With The Topknot will be adapted by Mick Ford and produced by Kudos and Parti Productions for BBC Two.